Postdoctoral Fellow of Jewish Studies Elliott Ratzman. 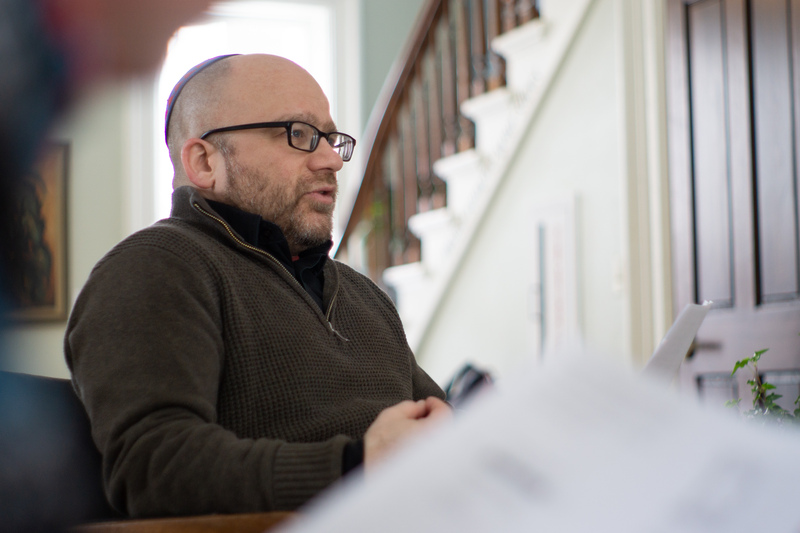 On Jan. 24, Postdoctoral Fellow of Jewish Studies Elliott Ratzman hosted a talk called “Intersections: How Not to be a Schmuck” in Sabin House. Ratzman drew upon his experiences at a workshop in Philadelphia, where he and his cohorts worked on character building in the context of the Musar movement, a Jewish tradition centered around ethical self-improvement . Despite parallels in ethical processes across different religions, Ratzman identified some approaches that are characteristic of specific faiths. “In Christian discussions, there tends to be an angel on one shoulder and a devil on the other, representing right and wrong, with the goal being to extinguish the wrong,” he said. Of Buddhism, he remarked that emphasis is placed on the problem of desire, and extinguishing it. The Jewish tradition differs from both of these; Ratzman said, “In Jewish virtue, there are two impulses: one in the interest of self, and one in the interest of other people.” This duality can also be thought of as material need and spiritual need, and it doesn’t paint anything as black and white. Instead, an individual must pursue both needs to some extent in order to remain a functioning human being. In spite of the self’s “trickster agenda” and its association with wrongdoing, it is fruitless to deny it a level of satisfaction. The workshop Ratzman participated in incorporated Benjamin Franklin’s 13 Virtues into the context of Musar tradition. He said, “We liked to think of Musar as a religious idiom for the 13 Virtues.” He and other participants would analyze a text in the context of a specific virtue, and for a week would methodically keep track of that virtue. “We would use things like journals, charts and mnemonic devices. And when you book keep your character, you notice things about yourself that you never did before,” Ratzman said. He offered an anecdote about changes in his attitude coming out of this: “I realized I usually procrastinate on replying to work e-mails, so I began to imagine how I feel when somebody is slow to reply to motivate myself to do better.” He also had a poignant comment regarding the mundane nature of such an event, saying “When we think of ethics, we normally think of puzzling out difficult problems. However, day to day ethical problems are usually very simple. We just lack the willpower to address them.” Perhaps a less intuitive situation was at a meeting he attended for an anti-war demonstration. He described the room as being full of ego, but suppressed his impulse to confront anyone or withhold his cooperation. Hence, character is built by going beyond basic principles like empathy and actively breaking harmful habits however intuitive they may be. Ratzman indicated that the two repeats of the event would include expansion on topics from the first talk while remaining accessible to newcomers. At the time of writing, these additional events will take place on Jan. 31 and Feb. 14.